You know you haven’t been to a mall for the longest time when you return and find that they don’t even call it by the old name anymore, lmao. I used to go to Tropicana City Mall fairly often, because it was close to my old work place. Haven’t been back since I left the company. They call it 3 Damansara now. 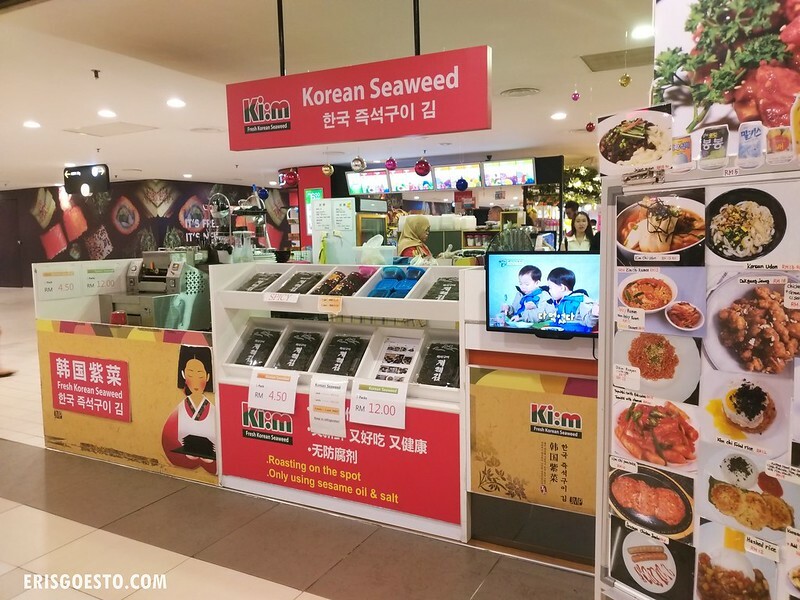 Most of the old tenants are still there, with a few new shops – like Kim Fresh Korean Seaweed, a kiosk on the Lower Ground Floor that sells Korean food and snacks. C, Kel and I were here for an event and we stopped by for a late lunch. The place is a simple open space with limited seating, a small kitchen, and a front counter selling roasted seaweed. We ordered several dishes to share. 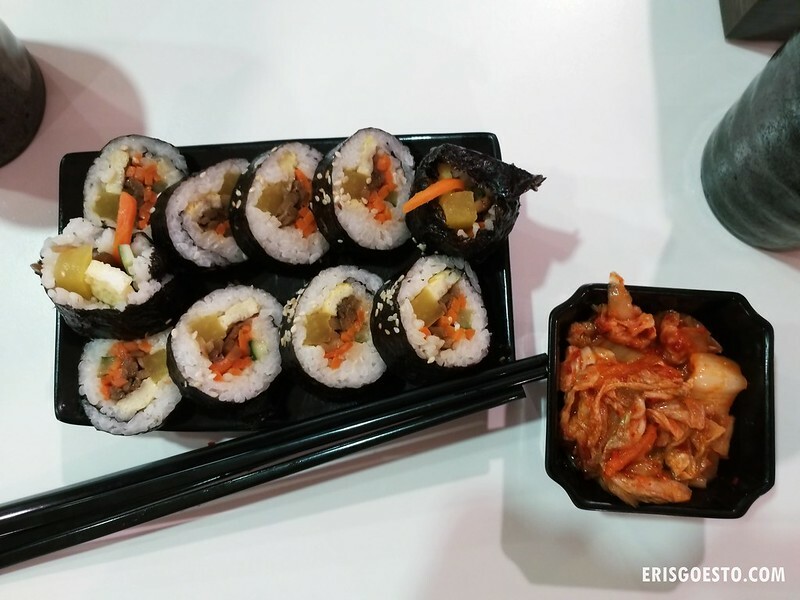 Our appetiser consisted of kimbap (or gimbap) – rice rolls wrapped in seaweed, stuffed with various ingredients such as pickles, egg, vegetables and ham, and sliced into bite-sized pieces. It is quite similar to the Japanese sushi roll. 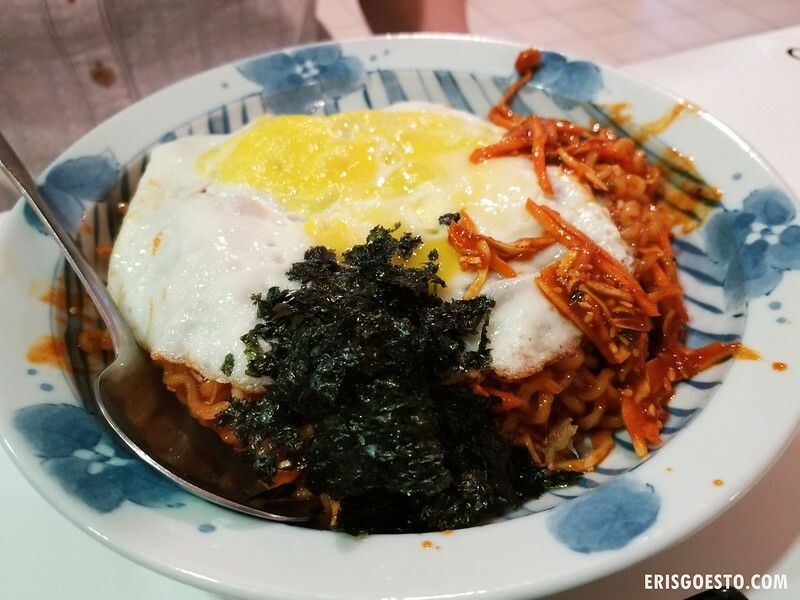 The gimbap was a tasty starter, and the accompanying kimchi banchan (side dish) gave it a sour/spicy kick. 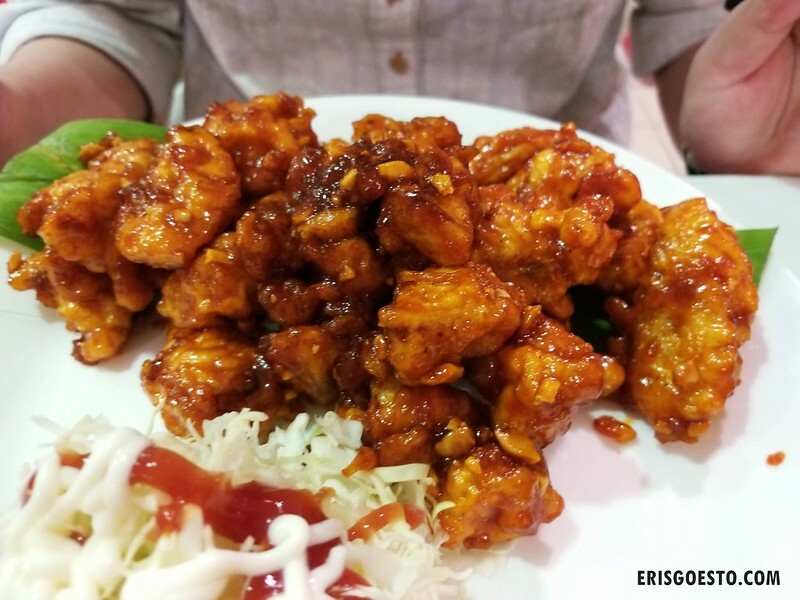 My favourite (as always) was the boneless sweet and sour Korean fried chicken. Apart from not having to deal with bones, the chicken was also fresh – moist on the inside, crunchy and sticky sweet on the outside. Highly addictive! I suggest getting it with rice so you don’t feel overwhelmed by the strong flavour. I can see myself coming back here just to have this. Also bought seaweed, which came in a pack of four large sheets (RM4.50). The seaweed is lightly salted and roasted with sesame for extra fragrance and flavour.